Meet new authors...Discover new books...Enter to win a free Kindle! Since his childhood, David's life has always been difficult and painful. His lack of social skills followed him through to his adult life, and together with the dark clouds of bad luck and depression, he finds it hard to manage inday-to-day life. When he devices an "innocent" plan to meet people online, his true self finally surfaces. The woman he falls in love with doesn't know the story behind who he really is, and when the truth is finally revealed, his life, along with the lives of the people around him, utterly falls apart. Kosta Angelou was born in Athens, Greece in April 1974. He moved to New York when he was 16 years-old, and in tenth grade. He attended Queens College, where he studied TV production, directing and acting before moving to Charlotte, NC in 1996. Although acting and directing have always been his passions, he has worked in restaurants his whole life. Kosta is married with two children, a boy and a girl. 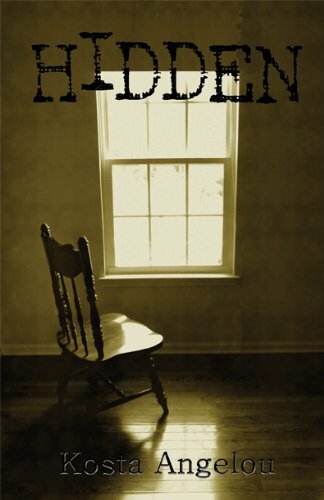 Hidden is Kosta Angelou's first book, and he is currently working on a sequel.